Poems don't just "happen". Even the simplest-sounding rhymed creations represent hours of work. Like a Jackson Pollack painting, they might look easy, but they aren't. Without a doubt, there are many techniques to writing a rhyming poem. Below is one of our favourites, but feel free to add your own personal touches. After all, the best poetry is an amalgamation of tried and true styles mingled with very individualistic approaches to the art form. If you want to put an experience, a feeling, or a story into a rhyming poetic form, you'll need to give yourself plenty of time and freedom to explore from a literary point of view. Pour a cup of java, settle down in an environment that you find inspiring (some like music, others prefer silence), and let yourself write in a freeform manner. Don't worry at this point about the rhymes; concentrate instead on imagery and emotions. For instance, say you're dying to put together a poem about a walk you took yesterday through a busy public park. Rather than writing the poem from beginning to end and then trying to edit it or make the rhymes "work", start by sketching out a few images that made an impact on you. 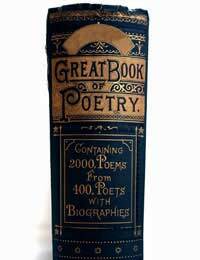 Though the above words have not yet come together as a poem, they are an excellent springboard to help you capture your occurrence in a poetic format. Not only have you encapsulated some of the major memories of your stroll, you can now use those images to develop a cohesive rhyming poem. Now comes the really stimulating part - it's time to play some "word games". Take two or three of your scribblings and put them together into as complex a poem as you wish. After you've finished your first draft, rework it into a second draft. Then, examine them both to see how your words have changed in context and effect. Bottle made of broken glass. Tired, broken, on the grass. Though these poems both reflect your experience of walking through a park, they do so in vastly different fashions. By employing different techniques and playing around with a poem, you'll often be pleasantly surprised by how it comes together and even changes the way you viewed your experience. Let's try another batch of images where the rhyming poems tell the same story but with very different emotional results. The first poem is descriptive, though somewhat staccato; the second relies on a dose of humour. Again, they both rhyme, but their effects on the reader are not the same. Plan your attack and have fun with your rhyming "campaign". Who knows? You just might create the first of many rhyming poems that will inspire generations of children and adults. If you want to write rhythmic and rhyming poetry, rather like music, you need to learn about how the different meter/rhythm is made. For example iambic feet are not the same as anaespetic metre, which is very popular also in rhythmic poetry. If you were learning music, you would need to know what the difference is between a waltz perhaps another style of music. It is the same with poetry. People also need to know the composition of poetry, ie iambic pentameter is very popular, but in English rhyming poetry four feet per line is popular, or seven feet spread over two lines is extremely popular. If people have no idea of the structure of these things, then they are really wasting their time trying to write, even though they may understand alliteration, assonance, metaphors, personification and all of these things.